For week three of the Month of CIRM, our topic is infrastructure. What is infrastructure? Read on for a big picture overview and then we’ll fill in the details over the course of the week. When CIRM was created in 2001, our goal was to grow the stem cell research field in California. But to do that, we first had to build some actual buildings. Since then, our infrastructure programs have taken on many different forms, but all have been focused on a single mission – helping accelerate stem cell research to patients with unmet medical needs. In the early 2000’s, stem cell scientists faced a quandary. President George W. Bush had placed limits on how federal funds could be used for embryonic stem cell research. His policy allowed funding of research involving some existing embryonic stem cell lines, but banned research that developed or conducted research on new stem lines. Many researchers felt the existing lines were not the best quality and could only use them in a limited capacity. But because they were dependent on the government to fund their work, had no alternative but to comply. Scientists who chose to use non-approved lines were unable to use their federally funded labs for stem cell work. 1) To accommodate the growing numbers of stem cell researchers coming in California as a result of CIRM’s grants and funding. 2) To provide new research space that didn’t have to comply with the federal restrictions on stem cell research. Over the next few years, the program invested $271million to help build 12 new research facilities around California from Sacramento to San Diego. The institutions used CIRM’s funding to leverage and attract an additional $543 million in funds from private donors and institutions to construct and furnish the buildings. These world-class laboratories gave scientists the research space they needed to work with any kind of stem cell they wanted and develop new potential therapies. It also enabled the institutions to bring together under one roof, all the stem cell researchers, who previously had been scattered across each campus. But building physical facilities was just our first foray into developing infrastructure. We were far from finished. In the early days of stem cell research, many scientists used cells from different sources, created using different methods. This meant it was often hard to compare results from one study to another. So, in 2013 CIRM created an iPSC Repository, a kind of high tech stem cell bank. The repository collected tissue samples from people who have different diseases, turned those samples into high quality stem cell lines – the kind known as induced pluripotent stem cells (iPSC) – and then made those samples available to researchers around the world. This not only gave researchers a powerful resource to use in developing a deeper understanding of different diseases, but because the scientists were all using the same cell lines that meant their findings could be compared to each other. That same year we also launched a plan to create a new, statewide network of clinics that specialize in using stem cells to treat patients. The goal of the Alpha Stem Cell Clinics Network is to support and accelerate clinical trials for programs funded by the agency, academic researchers or industry. We felt that because stem cell therapies are a completely new way of treating diseases and disorders, we needed a completely new way of delivering treatments in a safe and effective manner. The network began with three clinics – UC San Diego, UCLA/UC Irvine, and City of Hope – but at our last Board meeting was expanded to five with the addition of UC Davis and UCSF Benioff Children’s Hospital Oakland. This network will help the clinics streamline challenging processes such as enrolling patients, managing regulatory procedures and sharing data and will speed the testing and distribution of experimental stem cell therapies. We will be posting a more detailed blog about how our Alpha Clinics are pushing innovative stem cell treatments tomorrow. As the field advanced we knew that we had to find a new way to help researchers move their research out of the lab and into clinical trials where they could be tested in people. Many researchers were really good at the science, but had little experience in navigating the complex procedures needed to get the green light from the US Food and Drug Administration (FDA) to test their work in a clinical trial. So, our Agency created the Translating (TC) and Accelerating Centers (AC). 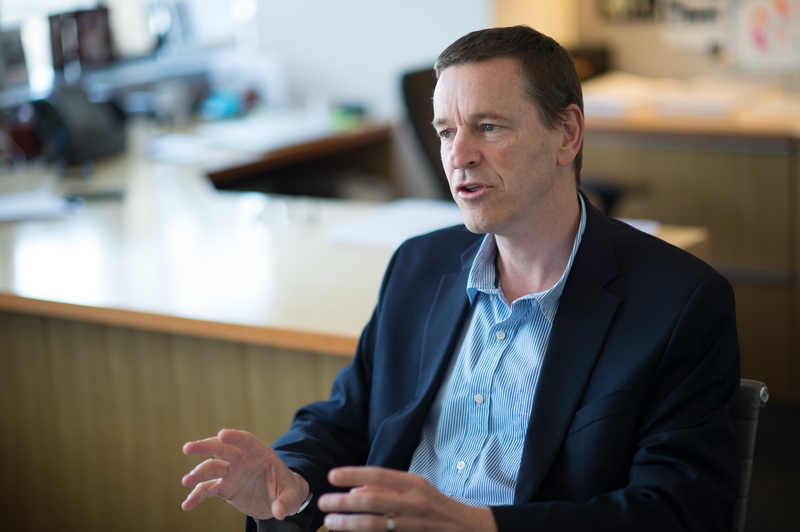 The idea was that the TC would help researchers do all the preclinical testing necessary to apply for permission from the FDA to start a clinical trial. Then the AC would help the researchers set up the trial and actually run it. In the end, one company, Quintiles IMS, won both awards so we combined the two entities into one, The Stem Cell Center, a kind of one-stop-shopping home to help researchers move the most promising treatments into people. That’s not the whole story of course – I didn’t even mention the Genomics Initiative – but it’s hard to cram 13 years of history into a short blog. And we’re not done yet. We are always looking for new ways to improve what we do and how we do it. We are a work in progress, and we are determined to make as much progress as possible in the years to come. 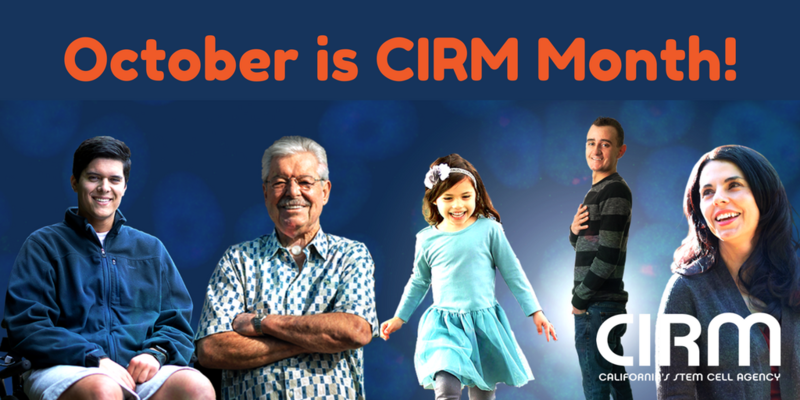 During this second week of the Month of CIRM, we’ve been focusing on the people who are critical to accomplishing our mission to accelerate stem cell treatments to patients with unmet medical needs. These folks include researchers, like Clive Svendsen and his team at Cedars-Sinai Medical Center who are working tirelessly to develop a stem cell therapy for ALS. 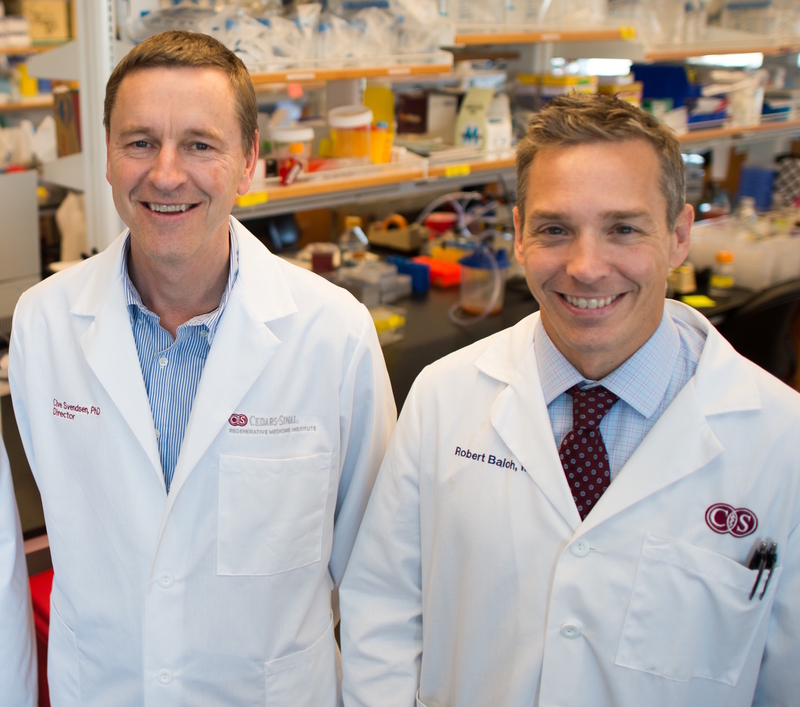 My colleague Karen Ring, CIRM’s Social Media and Website Manager, featured Dr. Svendsen and his CIRM-funded clinical trial in Monday’s blog. And yesterday, in recognition of Stem Cell Awareness Day, Kevin McCormack, our Senior Director of Public Communications, blogged about the people within the stem cell community who have made, and continue to make, the day so special. Today, in a new video, I highlight a brave young patient, Ronnie, and his parents who decided to participate in a CIRM-funded clinical trial run by St. Jude Children’s Research Hospital and UC San Francisco in an attempt to save Ronnie’s life from an often-fatal disease called severe combined immunodeficiency (SCID). This disorder, also known as bubble baby disease, leaves newborns without a functioning immune system which can turn a simple cold into a potentially deadly infection. Watch this story’s happy ending in the video above. This week, we’re highlighting CIRM-funded clinical trials to address the growing interest in our rapidly expanding clinical portfolio. Today we are featuring trials in our blood and immune disorders portfolio, specifically focusing on sickle cell disease, HIV/AIDS, severe combined immunodeficiency (SCID, also known as bubble baby disease) and rare disease called chronic granulomatous disease (CGD). CIRM has funded a total of eight trials targeting these disease areas, all of which are currently active. Check out the infographic below for a list of those trials. This week, we’re highlighting CIRM-funded clinical trials to address the growing interest in our rapidly expanding clinical portfolio. Our Agency has funded a total of 40 trials since its inception. 23 of these trials were funded after the launch of our Strategic Plan in 2016, bringing us close to the half way point of our goal to fund 50 new clinical trials by 2020. 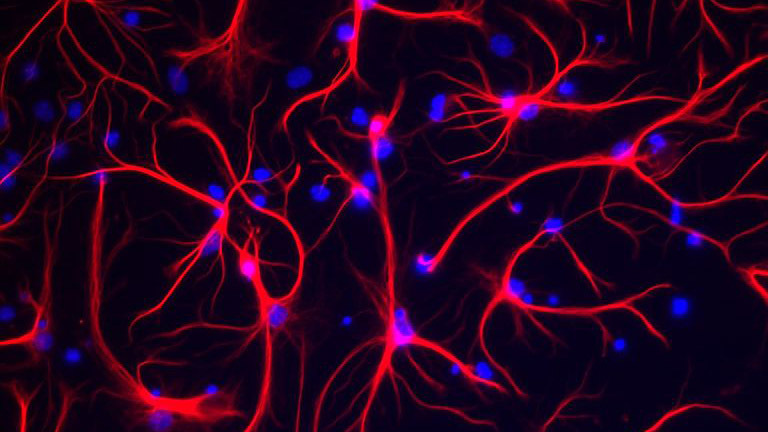 Today we are featuring CIRM-funded trials in our neurological and eye disorders portfolio. CIRM has funded a total of nine trials targeting these disease areas, and seven of these trials are currently active. Check out the infographic below for a list of our currently active trials. Welcome to the Month of CIRM! As we mentioned in last Thursday’s blog, during the month of October we’ll be looking back at what CIRM has done since the agency was created by the people of California back in 2004. To start things off, we’ll be focusing on CIRM-funded clinical trials this week. Supporting clinical trials through our funding and partnership is a critical cornerstone to achieving our mission: to accelerate stem cell treatments to patients with unmet medical needs. Over the next four days, we will post infographics that summarize CIRM-funded trials focused on therapies for cancer, neurologic disorders, heart and metabolic disease, and blood disorders. Today, we review the nine CIRM-funded clinical trial projects that target cancer. The therapeutic strategies are as varied as the types of cancers the researchers are trying to eradicate. But the common element is developing cutting edge methods to outsmart the cancer cell’s ability to evade standard treatment. Every once in a while, it’s a good idea to take a step back and look at what you’ve done, what you’ve achieved. It’s not about identifying the things that have gone well and patting yourself on the back for them; it’s more a matter of assessing where you started, what your goals were, where you succeeded, where you fell short, and where you want to go in the future. So during the month of October, we are going to be taking a look back at what CIRM has done in the years since we were created by the people of California in 2004. We want to take stock of what we have done and how that has helped shape the agency we are today, and the agency we hope to be in the future. Each week we will highlight a different area, starting with a look at the projects we are funding in clinical trials – how after our first ten years we had seventeen projects in clinical trials, and today that number is 35 and counting. We’ll also provide updates on our infrastructure programs like the Alpha Stem Cell Clinics Network and the Stem Cell Center – programs that play a critical role in accelerating the development and delivery of high quality stem cell treatments to patients with unmet medical needs. Over the course of the next few weeks, we’ll show how the way we work has changed and evolved as the field of stem cell research progressed, and how we have tried to be more responsive both to the needs of researchers and patients. We’ll also be taking a look at the people who have helped play a key role in shaping us, from the scientists who do the work to the patient advocates who are relentless champions of stem cell research. We’ll even profile some of the unsung heroes here at CIRM. But even as we look back we’re going to use that to frame our future, to see where we are going. We have some big goals for the next few years – as laid out in our Strategic Plan – and we are working hard to get there. 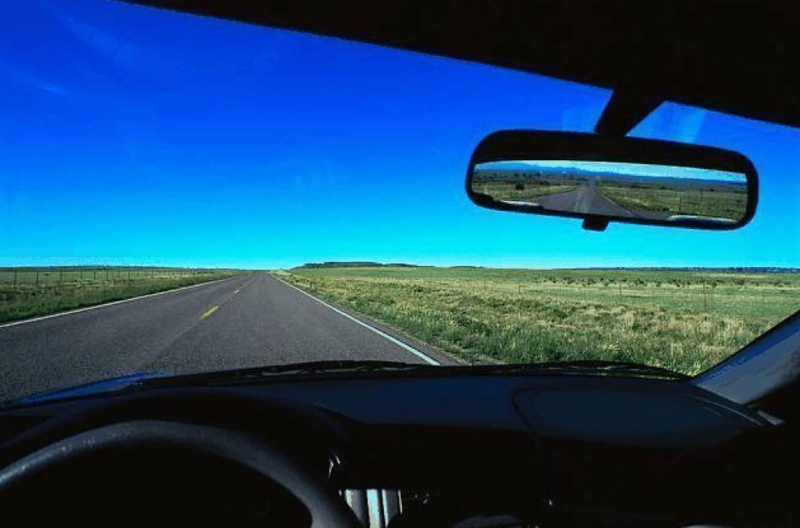 By reflecting on the past, using the experienced gained and lessons learned, we hope to have a much clearer view of what we need to do in the years ahead. 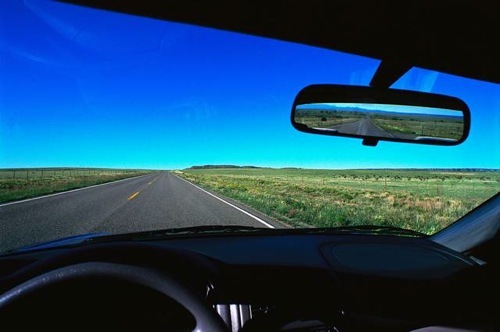 Like any good driver we are focused on what is in front of us; but every once in a while, it’s not a bad idea to take a look in the rearview mirror and see what’s behind you, where you have come from.